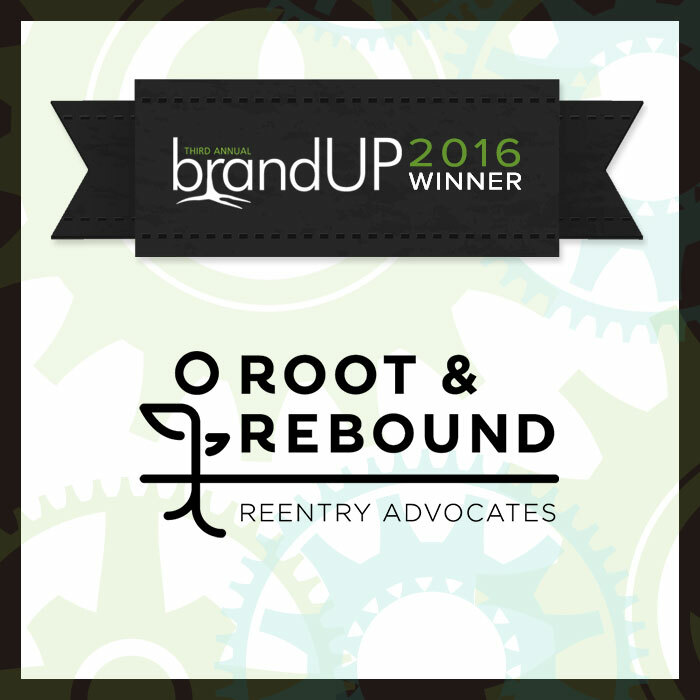 Rootid is excited to announce the 2016 brandUP winner - Root & Rebound! Founded in 2013, Root & Rebound works to increase access to justice and opportunity for people in reentry from prison and jail, and to educate and empower those who support them. Their goal is to strengthen the reentry infrastructure across the state of California, and to expand their work into other states, so that all people living with a criminal record in the United States have opportunities to thrive. The Root & Rebound team brings amazing energy and expertise to justice reform, and we’re thrilled to be working with them! These are startling figures. Sadly, they are not surprising given the labyrinth of complex barriers that have been erected in the criminal justice system for people upon reentry from incarceration. When Root & Rebound first started, they served 100 people in a direct service model in their first year, but quickly ran into a maze of barriers across many facets of reentry. Their team figured if they, as attorneys, could not navigate this complex legal system, how could they expect social workers, case managers, individuals or families to do so. In response, their staff of four, supported by ten interns spent 14 months researching and writing “Roadmap to Reentry: A California Legal Guide”— a comprehensive guide to navigating the reentry legal system. Over the past year and a half since its launch, the Roadmap to Reentry has served as a powerful tool that has catalyzed the impact of Root & Rebound's work— empowering people to navigate complexities of the justice system. Root & Rebound has moved this resource and associated training materials online with their Reentry Training Hub. Rootid will be working with Root & Rebound to continue to build out this hub, refine their marketing efforts around their mission work, and further expand their impact within California and across the country. Al's story of reentry is amazing. He is just one of many people that has been affected by the work at Root & Rebound. Information architecture and page hierarchy can make or break you. Your interface should be designed with your end goals in mind. Who is reading the content you are presenting? What do they need to know in 1 sentence. Why do they need to know this information, giving them a line of context is helpful. By setting clear expectations for your users from the start, they will not get lost or confused in their process through your website. The following is a short list of page elements and a few best practices too make your website's pages easier to read and digest. Pages are typically divided into sections and sub-sections. Each section is usually started with a heading. Use headings in a hierarchical way. 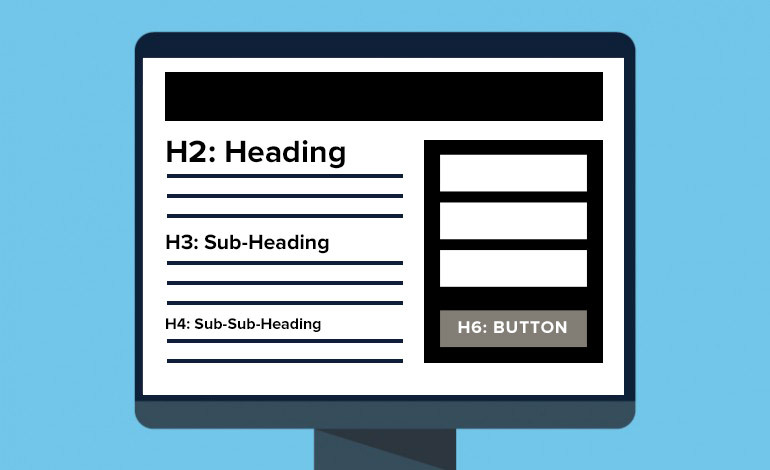 The hierarchy of headings is limited to five starting with H2 - the most important - and finishing with H6 - the least important. The page heading - the title of the page - is always formatted as an H2. It is the only heading on the page that should use this setting. Use sentence case for all heading and sub-headings. Sentence case is the standard approach to using upper and lower case letters, mainly in titles and headings. It is the most legible for all levels of readers and gives them a visual queue that something is a heading (since each word has a capital letter). Paragraphs are single blocks of text which flow from left to right, often running to more than one line, and have a single blank line above and below. Lower literacy readers need chunking, so if it going to take you more than 2 normal length sentences to make your point, consider editing. All paragraphs should be aligned to the left (the default alignment). Avoid aligning paragraphs to the center or right unless you have designed a site that has intro sections of text that are centered. If you do, only have 1 sentence centered, as a rule it is more difficult to read since English readers are used to reading left to right. Keep your text short and to the point. Use bulleted lists with plenty of space between items—this helps slower readers absorb your information more effectively. Use italics sparingly. It is ok to use for publication titles of course, but large amounts of italicized text is very hard to read online. Use bold sparingly. For clear emphasis of an idea or sub-heading, it is great, but large amounts again are very hard to read. Plus, you can't emphasis everything! Use color very sparingly. Excessive use of a different color, for example red, makes it very quickly lose effect and again is just hard to read. If you must highlight an important point in a different color, limit it to as few words as possible and do not make it a habit. Use all capitals sparingly. Excessive use of capitals can get very annoying very quickly and should be reserved for special cases. Words in all capitals are very difficult to read online and often feels as though you are shouting at someone. Note: ALL CAPS are a great use case for buttons, main navigation items, and other situations where a single word is used. Do not underline. As a rule, you should NEVER underline because most browsers make links appear underlined. If you underline text that is not a link, it will only confuse your site visitors. Here are some tips for visual consistency. If you are not a designer, or have not had a designer create a styleguide for you, as a rule, the settings for any table should be as follows: Cell padding = 5; Cell spacing = 0. Text within cells should be vertically aligned to the top of the cell. This makes it the easiest for people to read the contents of your table by keeping the text from running into itself or floating at random heights within your table (depending on the length of your text). Really all it means is putting the people you are serving front and center—learning from them and working in collaboration to develop the most authentic and powerful results. In the case of IDEO and IDEO.org, they are working with people and organizations to solve poverty, hunger, and other large-scale world problems. But these same techniques and processes can be used to guide communications strategy for non-profit organizations. Human-centered design thinking frames the process Rootid facilitates with clients at the start of new projects, during what we call "the discovery phase." Sometimes, we refer to what we are doing as 'strategic art therapy' but ultimately, it is using art, design and the creative process to develop stronger, cohesive and more thoughtful communications strategies grounded in the core values of our clients' missions. We also refer to the discovery process as our 'sponge phase' because it is our opportunity to absorb as much information about our clients, their work, and their communities as we can. As a collaborative communications firm, Rootid our goal is to become the expert facilitator and guide rather than 'tell' clients what they need to do. By working together and helping our clients tap into their own creativity, inspiration and passion, we are able to develop brand and communications strategies that are more powerful, authentic and ultimately engaging to constituents. Understanding the core values of the organization & defining what success looks and feels like. This can often be more complicated than you would think. Maybe programs are changing or a shift in organizational culture... Using design thinking to revitalize your brand and then moodboarding your vision (individuallly or as a group) can be a really effect way to regain concensus amongst key stakeholders. Identify who the target audiences are and developing your personas can be a tricky task. You need to allow yourselves to cast your net broadly before narrowing down and (here is a spreadsheet we use to facilitate this process). Establish the paths/workflows/journeys your organization wants community members to take toward specified end-goals. Think through the transformation of each persona. (see Tab 3: Persona Journeys from the spreadsheet above. Download our free resources to help you get started on this project internally! Our clients are the experts in their fields, our job is to help them communicate what they do more effectively. Building a logo can be as easy as ABC, or 123...yes, just like the Jackson 5 song. It is composed of basic building blocks of shapes, colors and letters. Just like a children’s cartoon, because really, if it does not read that simply, then you are probably doing something wrong. Think about some of the most famous (and successful) logos such as Nike’s swoosh, Twitter's bird, or Target’s, well, target. So let’s start with shapes. Did you know the majority of logos (about 50%) are rectangular shaped? The other 50% are a pretty clean split between squares and circles, with the random organic shapes coming in at less than 10%. Think about what logos are used for these days…often on a website, right? Well that is probably the reason so many logos are rectangular, it is simply easier to place and clearly read across devices without taking up too much vertical space. That being said, you do still need to consider the square or circular version of a logo because they are needed for profile pictures for your social media accounts. So, ultimately, it is best to have a logo that reads well at small sizes and can work no matter the space it needs to fit in. Now, how do you choose a color (or colors) for your logo. What do you want it to feel like? Before you begin to play with color, make sure your logo works in just black, you want to make sure that color is enhancing what you already have and not carrying your message. Here is a list of what different colors are often times associated with (in western culture). Red: Excitement, energy, passion, love, desire, speed, strength, power, heat, aggression, danger, fire, blood, war, violence, all things intense and passionate, sincerity, happiness (Only in Japan) -- when using red, it is important to consider that it also means "stop," so probably best not to use it for a button you really want people to click. Pink symbolizes love and romance, caring, tenderness, acceptance and calm. Keep in mind, as much as this is finally starting to change, pink is not always the most "gender neutral" color to use. Beige and ivory symbolize unification. Ivory symbolizes quiet and pleasantness. Beige symbolizes calm and simplicity. These are both great colors to use as a neutral tone in your palette. Or if you think a white background is too sterile, these are nice colors to use to warm things up more subtlely. Yellow signifies joy, happiness, betrayal, optimism, idealism, imagination, hope, sunshine, summer, gold, philosophy, dishonesty, cowardice, jealousy, covetousness, deceit, illness, hazard and friendship. Uh, yeah, it can mean a lot of things, so be careful how you use it and what shade you are using. The negative words tend to be associated when the yellow is a cooler tone, the cheerier when it is warmer and closer to orange. Dark Blue: Symbolizes integrity, knowledge, power, and seriousness. This can also feel cold, sterile and removed, so use it carefully. Colleges and universities use dark blue a lot, but often pair it with gold or teal or a warmer shade of blue. Blue: Peace, tranquility, cold, calm, stability, harmony, unity, trust, truth, confidence, conservatism, security, cleanliness, order, loyalty, sky, water, technology, depression, appetite suppressant. Blue is use A LOT because it can stand alone really well and mean a lot of different things. Think Facebook, Samsung, GE, Ford, Intel, HP, GAP, even the UN. Turquoise symbolizes calm. Teal symbolizes sophistication. Aquamarine symbolizes water. Lighter turquoise has a feminine appeal. The more minty shades feel the most tranquil and are often used for meditation type companies. Lavender symbolizes femininity, grace and elegance. Again, this is not always the most "gender neutral" color to use...and can often come across more youthful than you may want. Orange: Energy, balance, enthusiasm, warmth, vibrant, expansive, flamboyant, demanding of attention. This is a great "Call to Action" color, which is why you will so often see it used for donate buttons on websites. Green: Nature, environment, healthy, good luck, renewal, youth, spring, generosity, fertility, jealousy, service, inexperience, envy, misfortune, vigor. Please note that darker and more "Autumn" shades are more environmental feeling, bright grass greens are more "Spring" and the fluorescents get into the envy and misfortune end of the specturm. There is a reason the Matrix movies use fluorescent green. Brown: Earth, stability, hearth, home, outdoors, reliability, comfort, endurance, simplicity, and comfort. Brown is a great and warmer alternative to black. You don't see it used that much on websites or branding, but it works. Gray: Security, reliability, intelligence, staid, modesty, dignity, maturity, solid, conservative, practical, old age, sadness, boring. Silver symbolizes calm. This is another good neutral color that can warm up a palette that feels stark while still allowing a lot of open, empty space. Last but not least, there are letters, well fonts (typography). How do you choose whether to use modern or classic, a serif, sans-serif, or handwritten font? Strong typography can be tricky and needs to take into consideration a variety of factors. This post is about how to keep it simple, so here are some basic guidelines. Do you want modern and tech feeling? Use a sans-serif font. The more rounded, the more modern it will feel, the more sharp= action oriented, narrow= more classic and sophisticated. Want something approachable? Use a handwritten font. Serif fonts are best for large blocks of text or logos that need to feel more serious and mature. Note, there are a lot more nuances here so for more in-depth information read, "Web Typography Best Practices." Read more about the conceptual parts of What Makes a Great Logo or Learn to Moodboard to help you get creative. A good logo is not an all you can eat buffet, so keep it simple. The Esperanza Education Fund provides college scholarships and professional mentorship to immigrant students regardless of national origin, ethnicity, or immigration status. Rootid was hired to revitalize their branding, design a new logo, develop print and digital communications templates, and design and build their website. The Ella Baker Center works locally, statewide, and nationally to end mass incarceration and criminalization. They work to mobilize everyday people to build power and prosperity in our communities through reinvestment, policy change and redefining safety. For 20 years, the Ella Baker Center has formed unlikely coalitions and won positive change that breaks the cycle of disinvestment and incarceration in communities of color. Since 1989, CIEL has used the power of law to protect the environment, promote human rights and ensure a just and sustainable society. With offices in Washington, DC, and Geneva, Switzerland, CIEL’s team of attorneys, policy experts, and support staff works to provide legal counsel and advocacy, policy research, and capacity building across our four program areas: Climate & Energy, Environmental Health, Human Rights & Environment, and People, Land, & Resources. Maintaining a consistent visual presence is hard. Creating a quick brand guide can help you ensure everyone in your organization is maintaining a consistency in all of your marketing materials. Here's how to get started in 4 simple steps! You do not need to be a typographic guru to know what fonts look good together and what ones don't. The first font you choose should be something that you would want to use for headers on your print and web materials. We often time encourage people to choose something with a little more "character" but that is still easy to read. Make sure it "goes" with your logo or is even the same font you use in your logo. Look through MyFonts.com or Google Webfonts and search by the key terms or core values you defined in your branding process. The second font you choose should be something that is even easier to read and will work well as body text across your print and web materials. Choosing a font family that is flexible and has thin/narrow options, bold, extended and black will get you the furthest. 2-3 colors is fine, you do not need a huge assortment to feel visually cohesive. Actually, less is more. Assume that white and black are automatically in your palette and thus not addressed here. Think back to your headers, what color are they on your print materials or website now? Are they the same in both places? If not, they probably should be. Overall, it is good to pick 1-2 brighter colors to use for accents and then think about something additional that is more neutral. Also consider using lighter and darker tones of the same color (hue) you are already using...lightening up (adding white) to your header color and then using it for a sub-header is a nice way to have something feel cohesive without needing to choose an additional color. A great place to try things out is Colourlovers.com -- again make sure everything you choose goes wtih your logo as well. If you already have a blue and gray logo, those should be 2 of your colors. If you are wanting a change...then that is a different conversation and see our article on revitalizing your brand. Not everyone likes or wants texture, but it should be considered either way. If you already know you want your colors and backgrounds to be flat, that is still a texture...ie. flat, smooth, clean, etc. Or maybe you want a little more of a grunge feel, or something else that has a tactile or 3-D quality to it. A nice place to try out background textures and patterns is SubtlePatterns.com -- yes this is focused on websites, but it at least gives you a way to try out what you might like or not and then you can apply a similar pattern to your print materials. Choose 1-3 main photos and/or illustrations and another 4-7 images that you can use interchangeably but are consistent across all of your materials. Often times you can even just pick one main image plus your logo and get pretty far with that "defining" your brand. But, you will still need a few more to use in print and social media. Visit istockphoto.com, flickr or even just Google and type in your key words and see what images come up. If you do not want to purchase stock photos or images, you can hire a designer to create custom artwork for you. Feedback and revision is critical to any process. The same is true for building a visual brand or language that speaks to your audience. 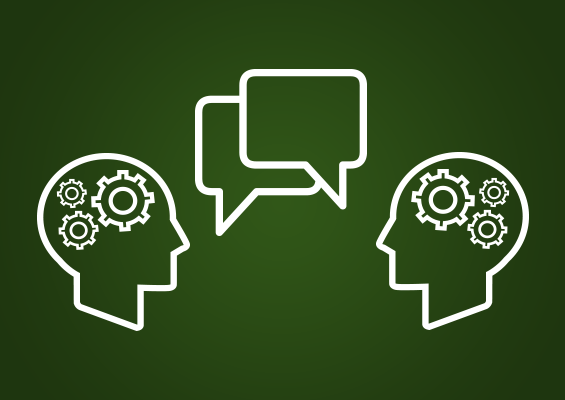 Stakeholder interviews are a great way to get feedback from your audience. But, make sure that you're asking the right questions! We can guide you through it. Download our full guide to conducting stakeholder interviews. A mood or vision board can be a lot of things, but the most successful are small collages that end up feeling a little like an art therapy exercise. Building a brand is hard. Mood boarding is a great way to help you and your team build a visual language that both communicates clearly and is engaging to your customers or constituents. In this post, we'll walk you through the 4 simple steps to have a strong visual language. If you're like most people outside of the design industry, you might not have heard mood boards. Mood boards can be created in a lot of different ways. If you are a more tactile person, you can grab a bunch of magazines and paste (collage) words, images, and color swatches onto a piece of paper. If you feel like your grammer school self, cutting and pasting, you are doing it correctly. Mood boarding is meant to help open your ability to brainstorm and help you figure out new ways to communicate...well, whatever you are trying to communicate. Most people spend a lot of time thinking and writing to come up with ideas, mood boarding opens the other side of your brain and engages your visual creativity. Note: If you like to work digitally, software programs like PhotoShop, Illustrator, PowerPoint or Word can be very useful. Use google search images/fonts or a stock photography website to pull ideas. to be able to collect your pieces and arrange them. Here are some quick tips on creating visual consistency to find online inspiration. IMPORTANT: Mood boards aren't website designs. Sometimes people get confused with this. At Rootid, we use mood boards in our project process to help clients better understand, gain cohesion and communicate their brand. According to the Content Marketing Institute, brands drive emotions, and emotions drive consumer decisions. So, since the purpose of moodboards are to generate a gut reaction from the person viewing them, it is an extremely effective way to move through your (re)branding process and/or to check that your branding is properly aligned with your core values and goals. The bottom line: Pinpointing the emotions that your brand evoke is extremely important. So, spend the time and focus needed to get it right. Step 1: What are 5-8 short statements or phrases that describe you, your organization or company? When answering this question, it's important to focus on individual words or 2-3 words—don't create long statements, that will not help you isolate and evoke clear and strong feelings. Step 2: Look for imagery, fonts, colors and textures visually depict your core values. This is meant to be a conceptual exercise so don't limit yourself to things you would actually use. Follow your gut. Maybe you see a random image of twig surrounded by bright red leaves. This does not fit into your color palette, you are not an environmental organization, but something about it "feels" right. Use it, the reason why may become more clear when you share you mood board with others. Step 3: Make a collage. You can use any tool you want. Scissors and paste, PhotoShop or even Microsoft Word. The key is that you need to be able to collect, move the pieces around and edit/delete/remove elements as you go. Begin by grouping like elements together and see if any common themes or patterns begin to emerge. Maybe that is by color or maybe something more conceptual and/or abstract that is based more on a 'look' or 'feel' that seems to fit together. Again, it is ok (and even good) if you can't put your finger on why what you are doing seems to be making sense. The more you feel like a kingergartner matching shapes and colors the better. You may end up with a few different mood boards and this is ok. Step 4: Take your collages to other people for feedback. Begin by sharing you mood board without a lot of explanation. Allow the person you are sharing with to discover ideas for themselves, this will help you know if you are communicating your core values clearly. Once they have given you their initial impressions, share your keywords and short phrases—describe what you used and why and see what they say. You do not need to be a color theorist to know if red feels more agressive than blue....feedback from others will help you know if you are on the right track. Remember that your mood board and brand are targeting an audience: customers, donors, constituents or whoever else. We have had many clients share their mood boards with those they are serving as well as board memebers or any other stakeholders. The more feedback they got, the better they were able to know whether or not they were communicating effectively. Our recommendation is conduct stakeholder interviews to ensure your mood boards speak to them. Check out our stakeholder interview guide to make sure you get the information your need.